I would swap Arizona with Birmingham. I'm going to wait until one of the teams wins a couple of championships in a row before I pick a team to root for. 1) Hackenberg is terrible! So so so so terrible. 2) Is there AAF fantasy football yet? How is it baseball season, MLB pitchers and catchers haven't even reported yet. And NBA regular season is lame AF. The league itself was supposed to have a fantasy game built into its app but it isnt ready yet. People are going to great lengths to promote minor league football. 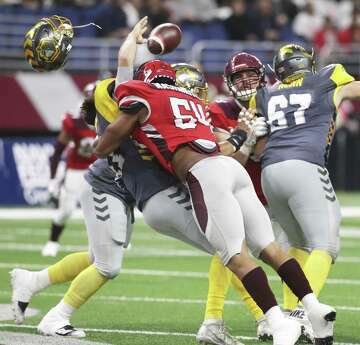 you orlando cucks think you can just walk into the dome and beat the best defense in the AAF? I feel like they need to have a Monday night game each week. They'll learn. Just let them talk all that shite. After the game, we can bump all the threads and laugh. Hackenberg better sit his arse down. Time for Mett to eat!